Hi, my name is Neda Piri. 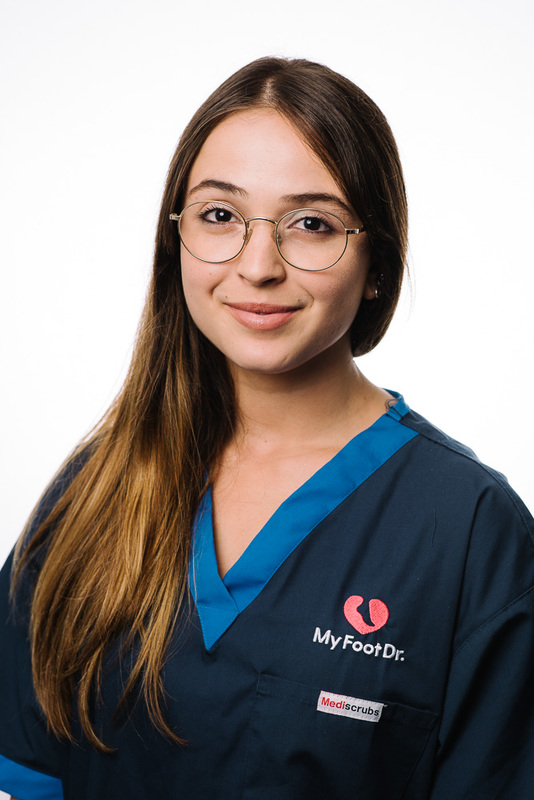 I have been involved in the footwear and podiatric industry for over four years now and am very passionate about providing world-class foot care. I was born in Brisbane and studied at Queensland University of Technology, graduating in 2017. I am also a committed member of the Australian Podiatry Association. When it comes to podiatry my special areas of interest are orthotic therapy in conjunction with appropriate footwear to achieve optimum outcomes for patients, as well as ensuring patients receive outstanding general nail and skin care. On a personal note, I enjoy staying active by partaking in regular boot camp classes and love strength based training. I am always keen to get involved with fun runs and more challenging events such as the Spartan race. Oh, and I don’t mind travelling whenever I get the chance! So far I have been to; Iran (my background is Iranian), Japan, Thailand, Singapore, Malaysia, and the United Arab Emirates. I’m excited to explore more of Australia, and add Vietnam, Cambodia, and Turkey to my list in the near future!